Ms. Goldberg acts as Labor Counsel to various municipalities and private employers, attending to matters including general compliance with state and federal laws, collective bargaining with unions, employee discipline, improper practice charges, grievance hearings and arbitrations. She represents clients in litigation before administrative tribunals and federal and state courts concerning a wide range of employment issues, including discrimination and retaliation cases, including claims brought under federal civil rights statutes, such as 42 U.S.C. § 1983, Title VII, Title IX, ADA, ADEA, FLSA, civil rights actions and wage and hour disputes. Ms. Goldberg also represents clients in arbitrations held pursuant to the rules of the New York State Public Employment Relations Board and the American Arbitration Association. Ms. Goldberg also concentrates her practice on the defense of police misconduct, malicious prosecution and false arrest. She provides counsel training to clients on a wide variety of labor and employment issues. She has also conducted various employment related investigations including harassment and employee misconduct. 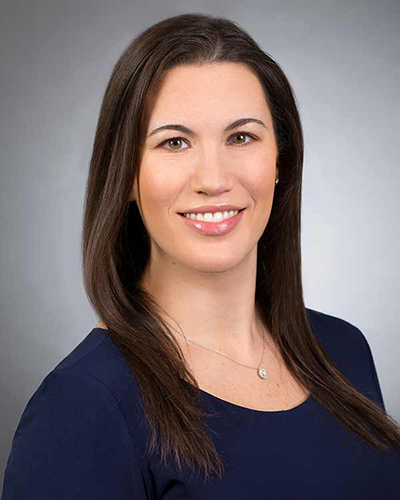 Additionally, together with members and other associates in the firm, Jaclyn Goldberg serves as General Counsel and Labor Counsel to numerous public school districts in Westchester, Putnam, Rockland and Nassau Counties, NY. Ms. Goldberg provides advice to boards of education and school district administrators regarding all aspects of school district operations. She represents school districts in litigation before administrative tribunals and federal and state courts, as well as in appeals to the Commissioner of Education. Ms. Goldberg handles student disciplinary matters and investigations of employee or student misconduct. Ms. Goldberg is a lecturer on issues related to municipal, education and labor law for municipal clients, including body worn cameras, employee discipline, student discipline, bullying in schools, harassment and discrimination in the workplace, records retention, public school transportation, “Overview of the In Rem Foreclosure Process”.